Medical staff (like the staff in any other domain) that operates as a part of healthcare and medical ecosystem works in as a part of various departments. These departments are operated by the workforce that is distinguished by seniority, role, and job profile. Amongst this workforce, one important post is that of an assistant. The assistant happens to be the second in command to the manager/senior assistant and directs and channelize the work routine of a substantial amount of workforce in the respective domain. Say for example the nursing assistant is indulged in managing and directing the day to day functioning of nurses and nursing staff. Similarly, every department in the healthcare establishments and medical firms have assistants that play a key role in the administration and running of the system. It’s important to get an able and skilled professional on the post of assistant given the responsibility and roles of the job profile. Medical assistant staffing agencies come as an answer to that quest for an able and skilled person for the post of assistant in the medical domain. These recruitment agencies with all the necessary skills and tools make sure that the desired and suited person occupies the position of assistant. Alliance recruitment agency is one popular name in the domain of medical staffing and recruitment solution delivery. We, at Alliance, are offering dedicated and professional Recruitment Process Outsourcing (RPO) services that are sustainable for both employers and job seekers. Apart from the medical and operating staff there is also need of office and managerial level staff in the medical domain. To keep the supply of this staff managed medical office staffing agencies play a crucial bit of role. From office boy to accountant and from assistant manager to operations manager there is a need for many non-medical professionals in the medical domain to operate as office staff. Alliance recruitment agency offers comprehensive and holistic medical office staffing solutions to clients that are need-based and on time. To choose us as your staffing partner would be a decision that you would never regret too. Medical staff recruitment agencies are professional and dedicated recruitment service providing partners that cater to the manpower needs of medical and health establishments. 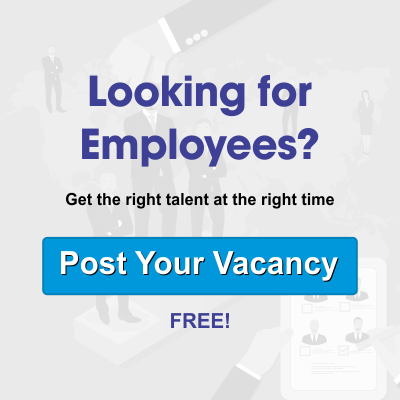 These staffing agencies cater to the recruitment needs in a wholesome manner and perform all the functions from shortlisting/sorting profiles to finally bringing the desired candidate on board. Alliance recruitment agency offers you that complete manpower and staffing solution at the comfort of your choice. Adding to that is our professional and dedicated service delivery that would bring joy to your face. To hire administrative professionals in the medical domain like the medical officer, Hospital in charge, floor manager, etc. ; medical administrative staffing agencies are hired to lend their services. These specialized agencies cater to the recruitment needs for the top and executive post and carry on recruitment drive strictly in sync with the demands floored by the clients. Alliance recruitment agency offers you medical administrative staffing services as a part of a complete staffing process outsourcing package so that you don’t have to wander for each kind of recruitments.